Howzit, potato chip heads! 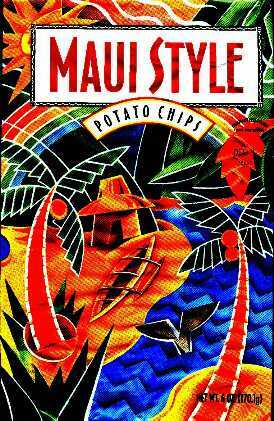 Check out our outrageous Original Flavor MAUI STYLE Potato Chips. Made local style, in the isles, cooked in a kettle, but they don't taste like metal......More classic than a monster winter storm set pumping off Honolua Bay. Fresher tasting than the first ride of dawn patrol at Windmill's...I mean, it's pretty weird to compare potato chips and surfing, but I'm just trying to tell you: MAUI STYLE rules! Corn, Cottonseed, Sunflower, or Hydrogenated [Corn, Cottonseed, or Sunflower] Oil), and Salt.